ReapAir Compressor Services is one of the most reputed distributors of industrial air compressors, Quincy air compressor units, as well as compressor parts in all of Southern Ontario. Our industrial air compressor services in Toronto, Mississauga, Burlington, and Oakville are among the highest-rated in the region. 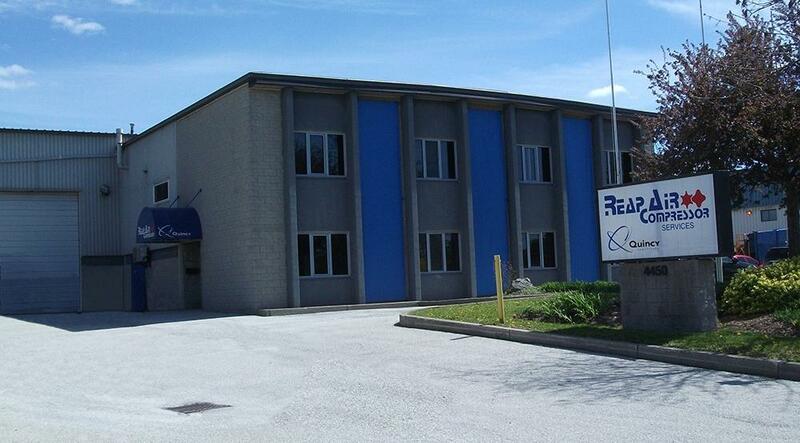 ReapAir has been proudly supplying industrial air compressor parts to clients across Southern Ontario since 1981. We specialize in dealing with Quincy air compressors, conducting effective Quincy Air Compressor repair procedures and supplying parts to our clients. We have a reputation for a high level of customer service, and our repair teams have been commended for their professional Quincy air compressor maintenance and repair time and time again. If you’re looking for the biggest name in industrial and Quincy air compressor units, services, rental, and parts in Toronto, Mississauga, and across the GTA, ReapAir Compressor Services is the place to go!